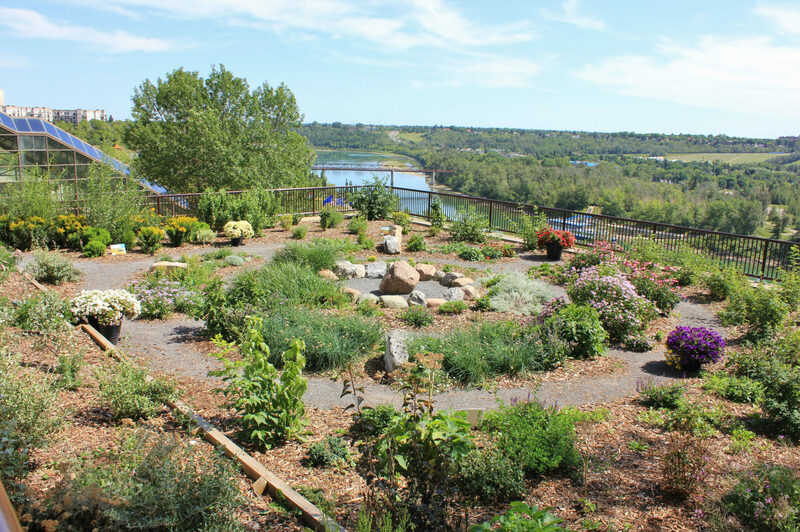 EDMONTON, AB – Today the Edmonton Convention Centre officially unveiled a Community Medicine Wheel Garden placed on the rooftop of its Riverview Room overlooking Edmonton’s River Valley. Guided by a local Cree Elder, the garden is designed to be universal in its teachings and be a place for people to meet, share and connect. Throughout time indigenous communities have worked with medicine wheels for sacred rituals, ceremonies, everyday blessings, cleansing and visions. They gave thanks, asked for guidance, used intuition and understood their world on many levels. All Edmontonians and visitors to our city are encouraged to walk through the garden and learn of its teachings. This garden belongs to the people and the Edmonton Convention Centre is inviting groups to utilize this space to enrich our community. To get involved email sccinfo@edmonton.com.